Carla FernÃ¡ndez, Taller Flora's team, indigenous communities, mode and design consumers. The project aims to create a sustainable option that incorporates handcrafts processes integrated in the contemporary scene without be considered as Folklore. Flora have production to supply different shops, increasing their catalogue and giving constant work to cooperatives. 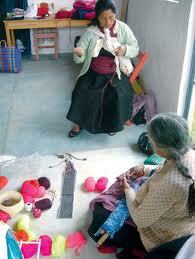 With Taller Flora, the artisans can make a living in their areas and they don't have to emigrate to the city.